I, personally, celebrated when the old time wedge salad became popular again. 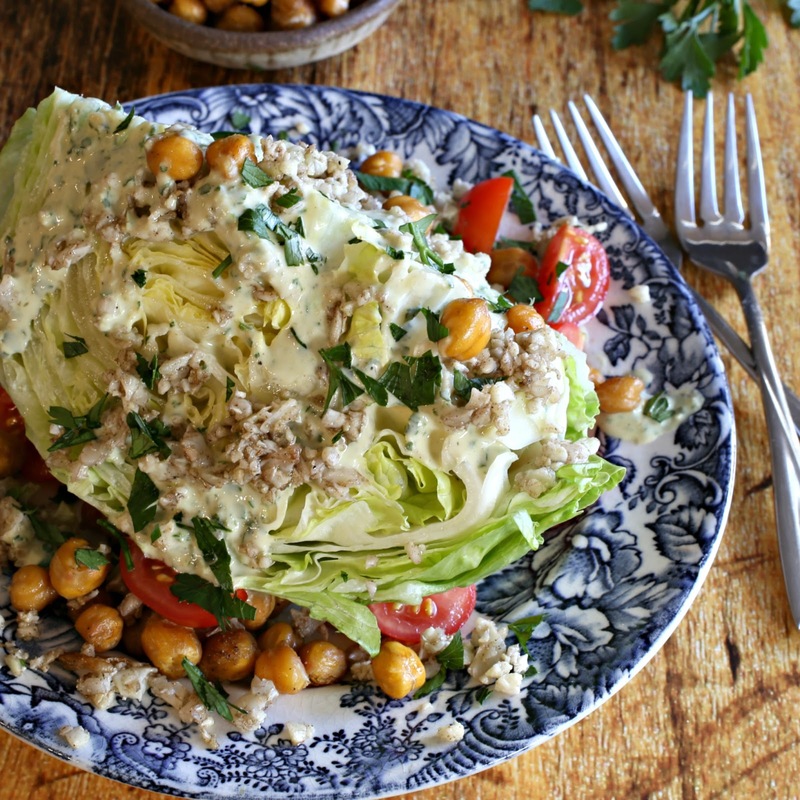 They're the steakhouse classic of iceberg lettuce, tomatoes, bacon and blue cheese dressing. What's not to love? And I'm all for them never going out of style again. But there's also no reason we can't make variations of it. 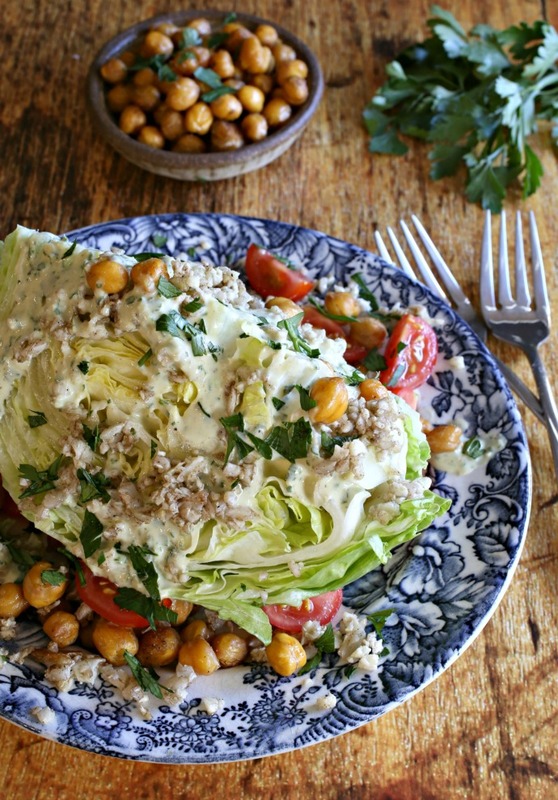 Because I love Middle Eastern and Mediterranean flavors, I took this wedge salad on an international journey. 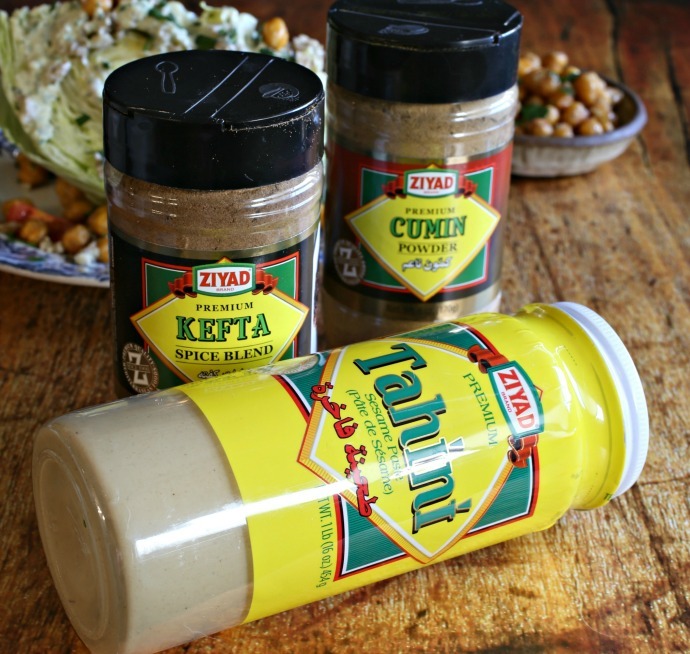 I made an herb tahini dressing and added some crunchy cumin roasted chickpeas. If you haven't tried those yet, I'll tell you right now they're totally addictive. Cauliflower rice might not seem like a natural addition to a salad but trust me on this. I wanted to add a warm spice to it that would compliment the cumin but still bring a different flavor note. And here's where I turned to my well stocked Ziyad pantry of ingredients and their kefta spice blend. Kefta is the term for a meat kebab and the typical spices include garlic, salt, allspice, coriander, paprika and a few others. It's great on beef but I saw no reason not to put it on vegetables as well. When you first smell the kefta spice, you might think it's too strong for delicate cauliflower rice. But, again, trust me on this. Heat mellows and sweetens the spice and makes the cauliflower as addictive as the crispy chickpeas. Put it all together and you'll have this version of wedge salad on repeat. Enjoy! 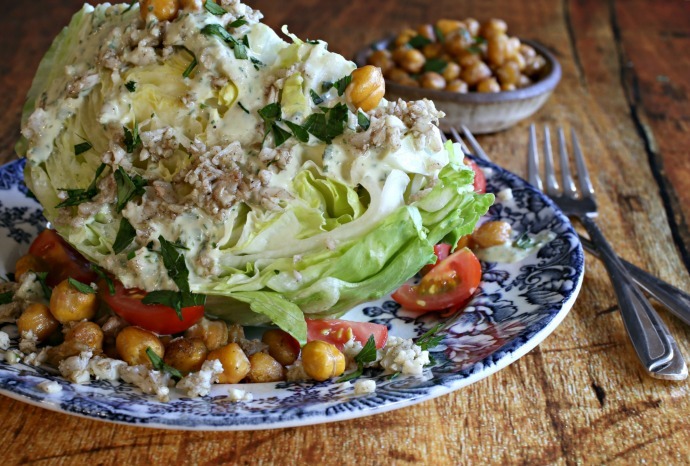 Recipe for a wedge salad with herb tahini dressing, roasted chickpeas and crispy cauliflower rice. This recipe is sponsored by Ziyad. Thank you for supporting the products I love and use in my kitchen.